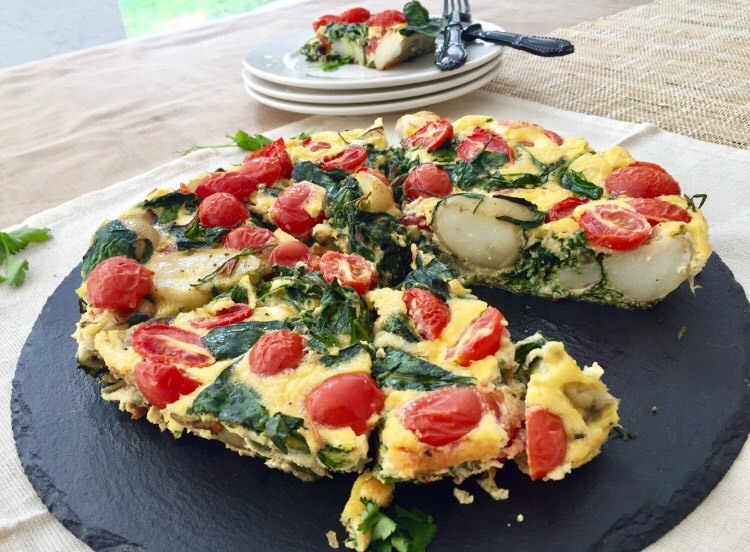 This is something easy to whip up for breakfast! Fry the onions in oil and add the potatoes. In an ovenproof pan. Mix your eggs, milk and salt & pepper together. Add spinach and tomatoes to the egg mixture. Pour mixture over the potatoes. Leave it on the stove top for a few minutes and then transfer to the oven. Bake at 180 degrees Celsius until egg is cooked.